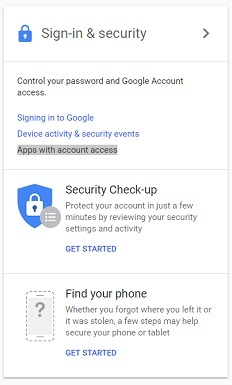 If you want to find out, navigate to “Google Account”, which should be in the top-right section of your Gmail screen on the desktop. Once in your account, you can find the “Apps with account access” button under the sign-in and security section. Take a close look at the third-party apps, and what information they collect — some may access your Google contacts, while others might access Google Drive. If you click on any of these apps, a drop-down box will offer more detail about the type of data it can collect. Click “remove access” to get rid of any you don’t like the look of, or don’t use regularly. Previous articleScammers targeting MyGov Website – Be Extra Careful!